New Klezmer Rebs CD Anarchia Total now available! Finally after 13 months gestation Anarchia Total is now available to order (for CD click here http://klezmer.co.nz/cd-order/ or to download digital version or individual songs click here http://klezmer.bandcamp.com/album/anarchia-total). Weighing in at 31 minutes 44 seconds it is just short of a full length CD so, for you, we are selling it for just $15 (plus postage). At 0.78 cents per second, that is amazing value, nu? Of course Just add shmaltz at just under 45 minutes is still available for the rock bottom price of $20. Anarchia Total was recorded live at the Ruby Lounge in Wellington, NZ in November 2010, and features 7 live tracks including traditional klezmer tunes Sher and Yoshke, some unconventional ones like David Kaetz’s country swing klezmer song Blue Klezmer Moon, the Yiddish tango Gedenk, a cover of the rude Russian song (by Leningrad) Zvezda Rok-n-Rolla, the popular crowd pleaser Minnie the Moocher, and of course our own Urs Signer’s political call to arms Anarchia Total whose lyrics you can find here (http://klezmer.co.nz/our-music/ – scroll down below the youtube video of the song). The new CD also features a few bonus tracks including Yishama-o-Rama ((Radiata edit) which is a remix of our version of Od Yishama/L’khayim Yidelkh by NZ DJ Cut Loose. Buy now and at no extra cost you’ll receive nothing extra at all! Hi Rebs South Island folks and soon to be fans! 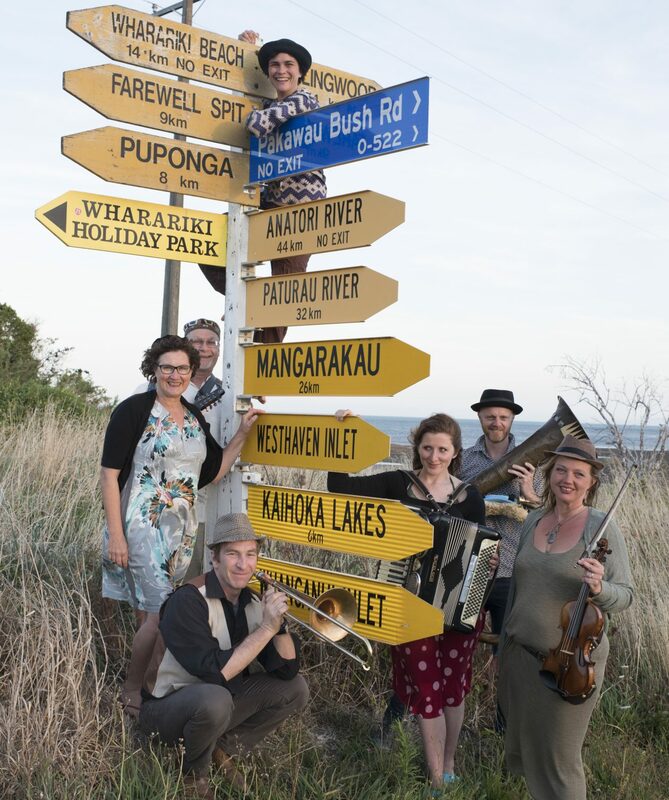 In our first overseas (ie across Cook Strait) excursion the Klezmer Rebs will bring our unique european and klezmer/ethnic folk music to Nelson on Sunday 22 January 7pm at the Free House, 95 Collingwood St. Nelson. Tickets are $10 at the door. We will be playing two sets of music and feature our new CD Anarchia Total.